Things have been crazy this week. After deciding this weekend that it was time for Smokey to be put out to pasture, things moved really quickly. 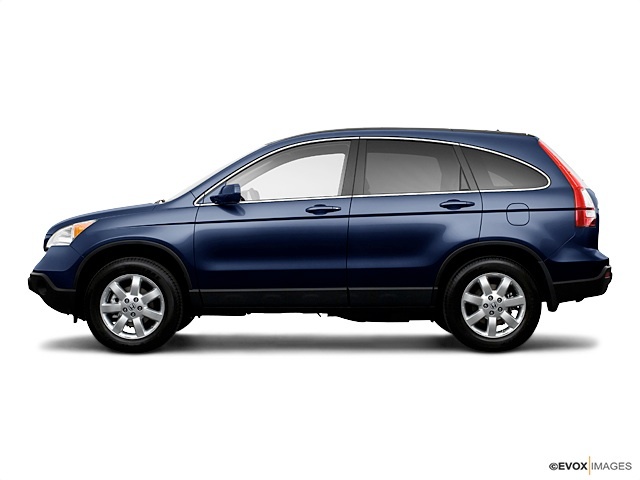 We looked a quite a few cars and finally decided on a Honda CR-V. I wanted an SUV that would be able to handle these Wisconsin winters, yet nothing to larger and tank-like. It had to be fun to drive and have enough room for Walter and any future additions to Team Colley. I was thinking about possibly going with a hybrid of some type, but the ones that are out there for SUVs are really expensive and I feel that the industry is still working out the kinks on them. So for right now, I am still a petrol girl. The nice thing at least is that I have great gas mileage and that Honda is really making strides as a “green” company. Plus, the car was manufactured in Ohio! So anyways, after much negotiating, we pulled the trigger last night and signed the paperwork. She is sitting in the garage right now. I am going to go out there in a bit and reload all my CDs and misc. items back into it and basically spend some quality time with her. Most importantly, I need to come up with a good name! Shawn said the Blue Goose, but I am not really feeling it. Any suggestions?